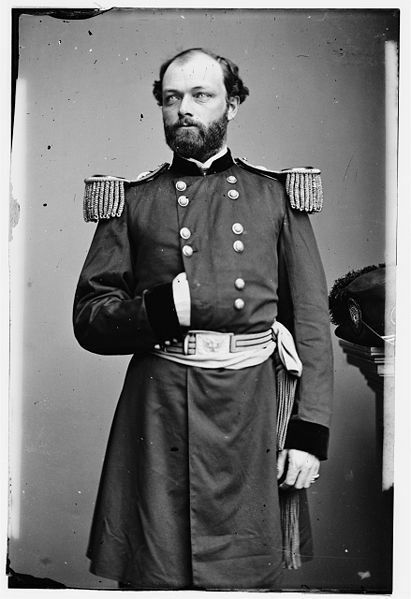 Description: On July 10, Union artillery on Folly Island together with Rear Adm.
John Dahlgren’s fleet of ironclads opened fire on Confederate defenses of Morris Island. The bombardment provided cover for Brig. 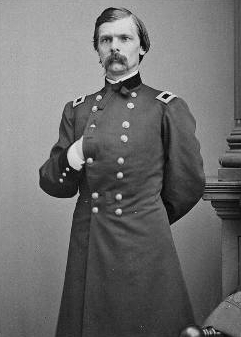 Gen. George C. Strong’s brigade, which crossed Light House Inlet and landed by boats on the southern tip of the island. 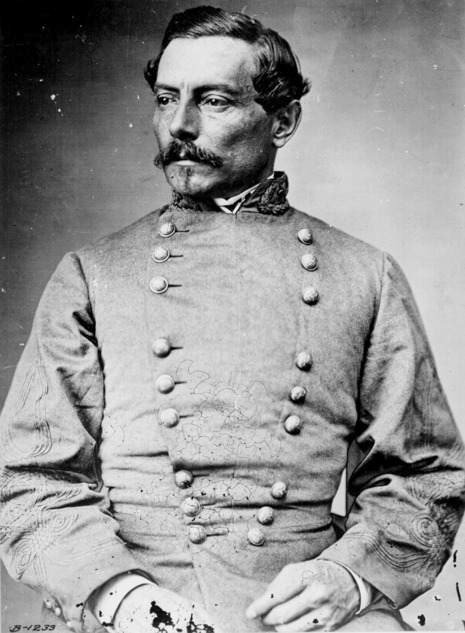 Strong’s troops advanced, capturing several batteries, to within range of Confederate Fort Wagner. At dawn, July 11, Strong attacked the fort. Soldiers of the 7th Connecticut reached the parapet but, unsupported, were thrown back. 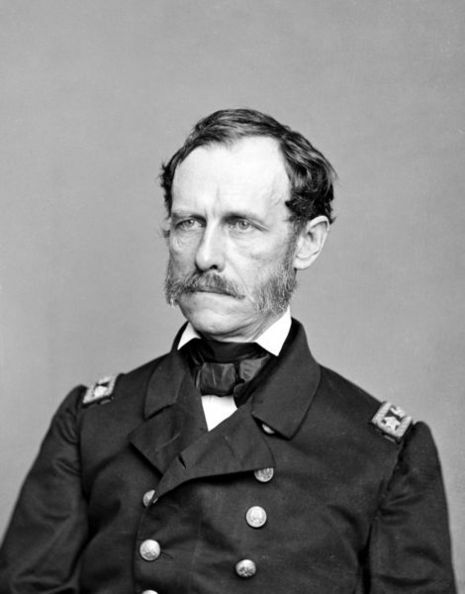 The First Battle of Fort Wagner was fought on July 10 and 11, 1863, on Morris Island in Charleston harbor during the American Civil War. 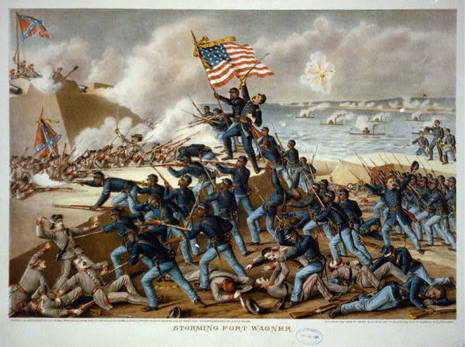 An attempt by the Union Army to capture Fort Wagner was repulsed. The more famous Second Battle of Fort Wagner, which involved an assault by the 54th Massachusetts, would be fought on July 18.